If you’re unaware, then the character creation demo has in fact been released. You can download it here, with no need to have signed up for the beta test or have been in previous tests. It’s essentially an edited version of the actual client, complete with tidbits of data that may or may not be discussed in a future post. click the biggest button to begin! The button directly below that is settings. The general flow when changing any setting. This will save any changes you made. The right-most button in the first screen will restore all default settings. The character creation demo installer may crash when you attempt to run it. There are rumors that the creator will install and run if you have at least Service Pack 3, but I cannot confirm this. Let me know if this is in fact the case. So How Do I Make Characters? Once again, click the big button to begin! Once you’re past that, select the 2nd option on the title screen to begin making your freaks. You can find plenty of information in a mini-guide written my Ricardo here, but I will at least give you a summary on this blog. First thing you’ll have to do is pick your race/gender combo. Examples will be presented to you as you hover over an option. Next you’ll be selecting a class, although this step is actually completely unimportant in this demo. It won’t affect the creation process and your save data is limited to race/gender, not class. These files will be useable at least in the upcoming closed beta tests. Beyond that, I have no idea, but it would be pretty awesome if we could use the data in the release version as well. Argh! I Accidentally Clicked Random! Beware of the random button, highlighted in this image. This is the most common issue, because it is incredibly easy to hit the random button without meaning to. However, nothing is lost! Just click on the undo button at the bottom of the window. This is good to know for any changes in the more fiddly areas of the character creator you may not be happy with. This is what the undo button looks like. If I were you I'd get acquainted with it. No, but for some reason Sega still wants you to leave copyright notices in-tact on your screenshots and put copyright notices on your videos as well. Oh, didn’t you know? You work for Sega and are thus obliged to help them advertise their product. It’s always been a responsibility of a consumer to tell other potential consumers that the product they’re showing off is a work in progress and is copyrighted. I’m not happy at all that Sega decided to give the software out and then claim ownership of all screenshots and videos, as if it were a closed test of some kind. I do not think people should have to do it, but you do jeopardise your chances of getting into the beta if you don’t. I gotta say the scoring system seems a little tougher than I’d have thought. A score in the 5000 range is still essentially what you should aim for, for the smoothest experience possible, but honestly the benchmark seems to suggest that you only really need a score of 400 at least for the game to be playable. This isn’t the “everything looks horrible” kind of playable, the game will still look nice and run at about 30-50fps. 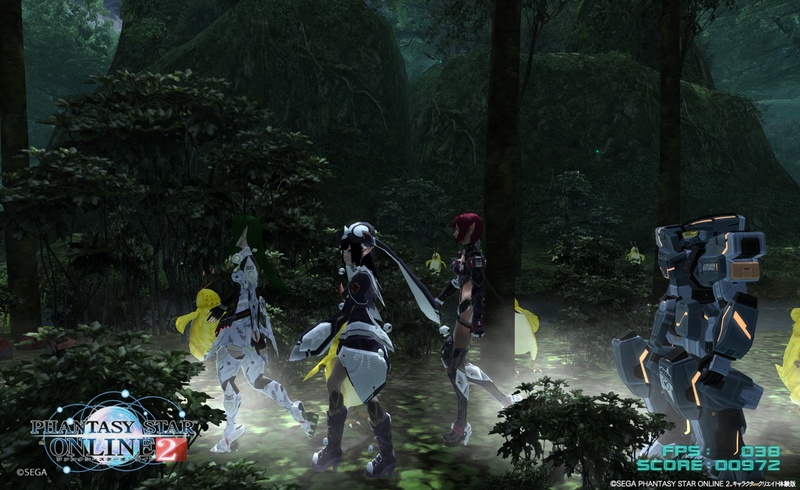 Your character wanders through the forest all Abbey Road with other default characters. Incidentally if you want to see your character prancing about in the bench-test you will need to complete character creation and then give them a name. This will also create a save file, incidentally. 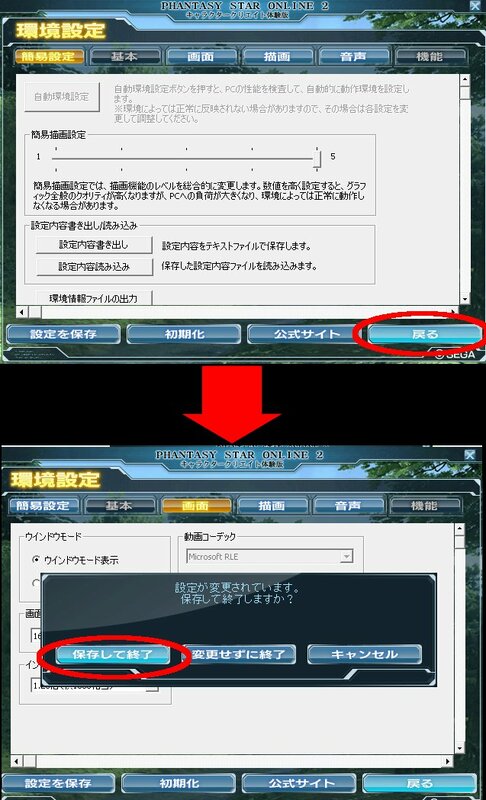 Once you do that, your character will appear in the test, but only while you’re running the program. 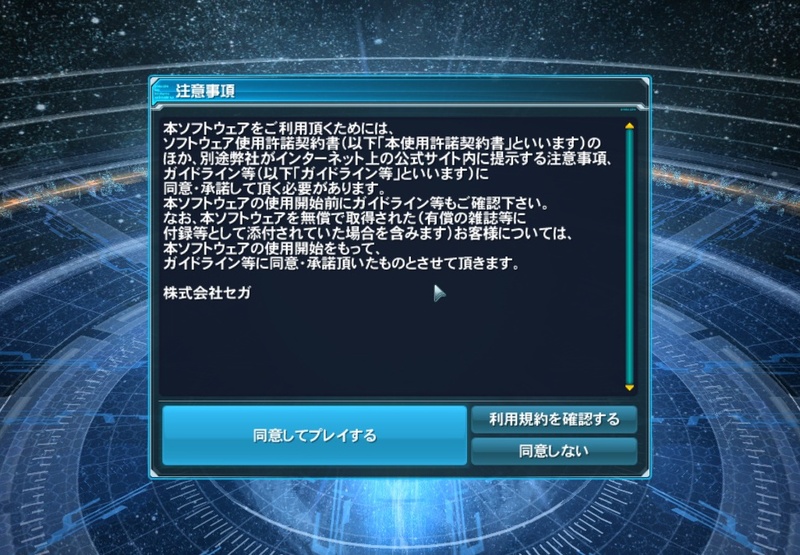 If you close it you will need to run a character through the creation process again in order for them to show up (loading them is not enough). Before I start, this is a great character creator. MMOs, despite allowing you to make your own characters, have typically never really granted players all that much freedom in how they look. Not that there aren’t some insanely complex creation systems out there, but there’s few of them. Regardless, there are some issues with it. For one thing the sliders themselves can be insanely sensitive. In particular the face shape slider can be very tricky to adjust without dramatically changing the shape of the face. The colour choice for non-casts is still very limited on the outfits, severely limiting what you can do with them at least in the creator. 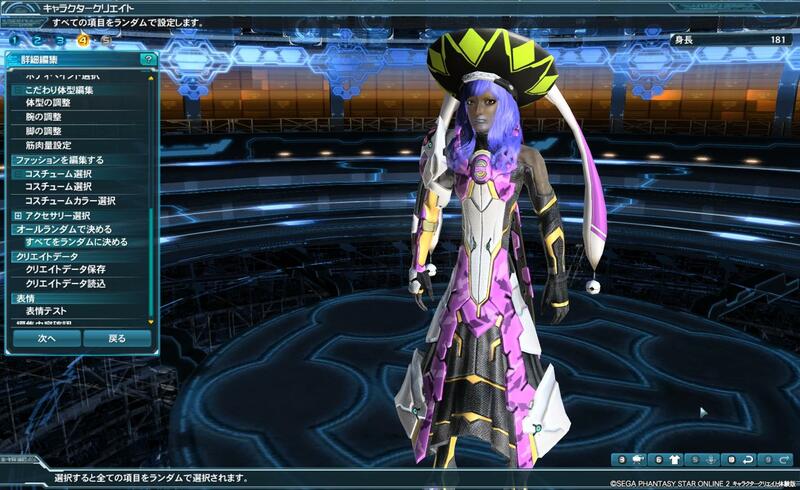 I imagine the parts of outfits that you currently cannot change may have different colours as different versions of the same outfit, kind of like we have in PSU. However we’ve not seen anything to suggest this may be the case. 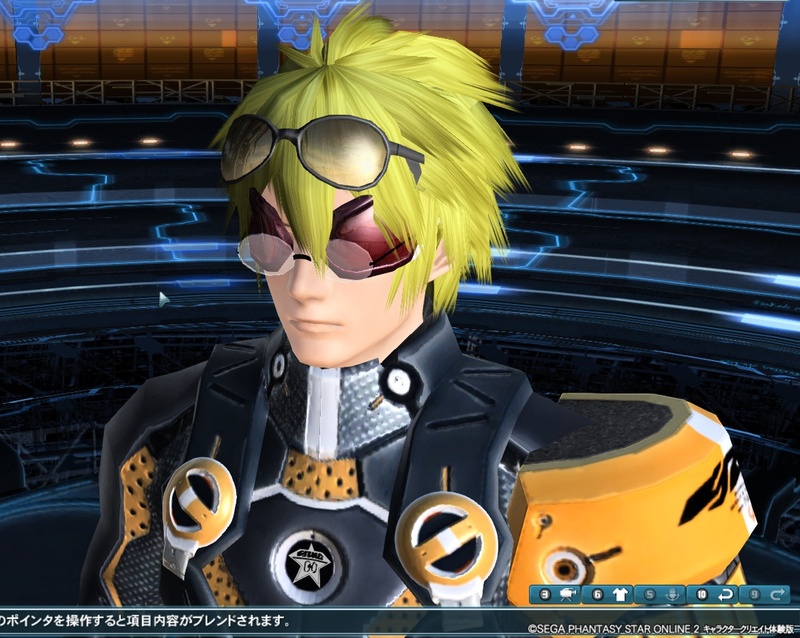 If it isn’t or if the colour customisation ability of non-casts isn’t expanded then this will always feel like an extremely limited part of character customisation in PSO2, which would be a shame given how much the rest of it offers. I do wonder if they’re ever going to limit what accessories you can put on your character, because as it is now you can wear 3 hats simultaneously, or 3 pairs of glasses. The accessory system is a far cry better than the system we had in PSU, of course, where accessories were bound to hairdos. Regarding accessories, there seems to be nothing stopping players from using conflicting hairstyles with them. 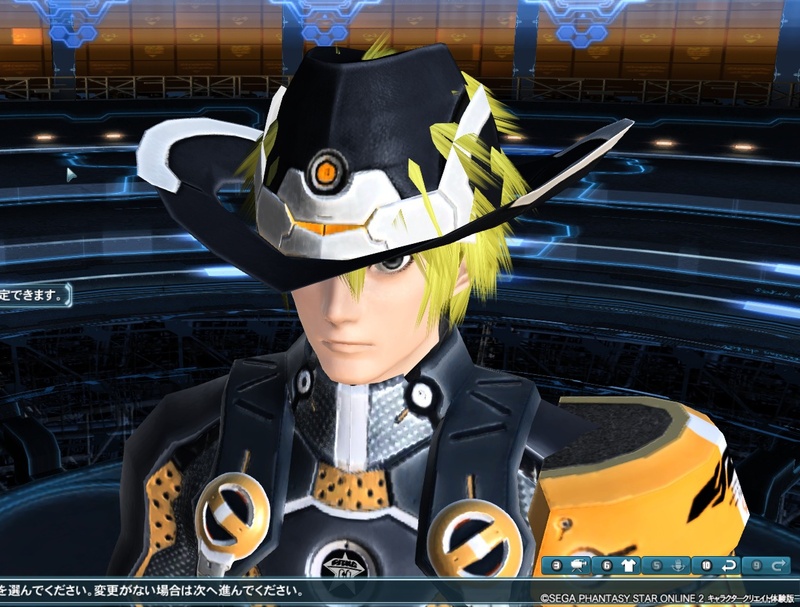 In fact the newest addition to the selection of hats, the RAnewm cowboy hat, is possibly the worst offender. Nearly every single male hairdo clips with the hat, severely limiting the options available for players. Outfits and outfit parts clipping through hairstyles is an issue with other combinations as well. Looks like they implemented full-screen mode properly. A good thing, you may think, but there’s a significant downside to them no longer offering a fake full screen option. For one thing you can now no longer switch between windows in full screen mode without causing the game to crash. 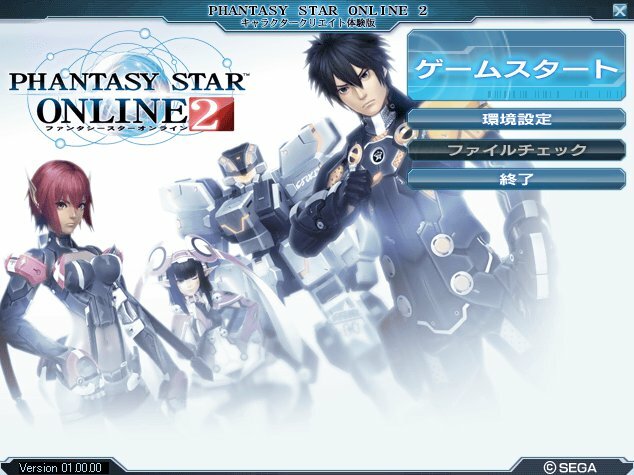 This has been an issue since PSO:BB, making full screen mode an undesirable option for anyone who wishes to do other things while playing. Well that’s enough criticizing! To finish this post off let’s have a gallery of character creator results. is added I receive four emails with the same comment. Is there an easy method you can remove me from that service?